Editor’s note: The following is an announcement from the Australian Waubra Foundation. WTS.com considers it worthy of international circulation. Existing Wind Energy Projects (WEP) do cause serious health problems for people living nearby. This is a fact, despite the denial, dissembling and spin by the industry and a few of their supporters; and continuing and diverse personal attacks on us as the whistleblowers. The Waubra Foundation is the only Australian institution actually doing work in the field, accumulating objective data (as opposed to anecdotal), researching studies and technical papers from overseas (which are becoming very significant), and climbing step by step the monumental peaks of indifference and hostility to the fact that WEPs are a danger to health. We also persist in trying to have government and industry money allocated to independent research about the emanation of noise, the type of noise, the physical mechanisms of the health problems and safe setbacks of WEPs from homes and workplaces. A problem is that independent research and peer review will take time, two to three years at a minimum; so people will continue to suffer from existing and new WEPs for several years. This continuing damage is unacceptable, an indication of a political system that accepts and promotes damage to rural Australians, a greedy and deceptive industry, and a cruel impost on part of what we thought was an equal society. The Foundation has therefore drawn from experiences of other industries and written a Specification of A Noise Measurement and Control System for WEPs (see below). This specification has been discussed with Noise Management Services Pty. Ltd., an independent firm of Brisbane-based acousticians who are nearing completion of a very similar system of continuous noise measurement and data logging (AcouSTar) which would require very little additional software to complete a system to our specification. The final system will be a very affordable addition to existing and new WEPs and will be robust enough for use in the field. It does not rely on research, but simply on control of noise to proven (by experience and regulation) acceptable levels within adjacent dwellings and workplaces. Nor will it rely on any uninformed and inadequate current wind turbine noise standards that are simply not doing the job of protecting people. We will shortly be advising governments of the availability of this method of solving this inhumane health problem and of controlling this unstructured industry. We recommend that people suffering from existing, and likely to suffer from new, WEP, demand from politicians, bureaucrats, developers and operators of WEPs that this Noise Measurement and Control System be incorporated in existing and new WEPs. We can fashion the systems, but we cannot create the wake-up “pressure” to make these things happen. It is up to you. Attached is copy of the Specification and of information released so far on the AcouSTAR Concept. The Waubra Foundation will continue to work with Noise Management Services on this exceptional development. These documents are in the public domain. Wind Energy Projects (WEP) exist in all states of Australia. At this time, (July 2011 some 2000 turbines of 1.5 to 2.5 MW capacity are in operation. It is clear the Federal Government is determined on adding another 9000 MW by 2020 which might be satisfied by around another 4000 turbines. Despite much denial, it is a fact that too many project neighbours are suffering a group of serious health problems that are linked to noise emissions by turbines and this will be worsened by the increasing use of larger turbines. The noise forecasts done by consultants to the industry omit infrasound as do the planning guidelines and or regulations for WEPs. Complaints by sufferers are largely ignored and relevant bureaucracies have not been keen to find any fault by an industry so favoured by Government. The purpose of this document is to develop a simple specification for a noise measurement and control system that will allow residents adjacent to WEPs to live in their homes in a healthy and essentially uninterrupted environment. The Waubra Foundation has prepared this specification for businesses or organisations that may be interested in proposing one or more technical solutions that could quite quickly be trialed and deployed on existing and new WEPs. 1. to be set up inside homes, work buildings, schools, or places of assembly adjacent to wind turbines; this part encompassing the sound measuring, recording and transmitting equipment this “SMRT” unit must be moveable in and around the building in which it is housed. Multiple SMRT units will be required for a particular wind project. 2. The second unit is a receiving, recording and control (RRC) unit which will be located in an urban office environment operated by an independent authority tasked with control of wind project noise. A duplicate unit will be installed in the wind project control room located at the wind project. 3. The third unit will be located in the operators control room to effect the shutdown (or speed limit) and restart of specific turbines on instruction from the RRC unit at the independent authority’s location. The SMRT is required to continuously measure sound levels in dB inside and outside buildings across frequencies from 0.5 to 20,000 hertz; (note: system designer to advise if there are cost or design benefits if bottom limit is higher, say 2 to 4 hertz). The SMRT is to display, on demand or continuously, the measured sound levels across the desired frequencies sound levels on a suitable onsite desktop screen and to provide for onsite storage of X months of data. The RRC is to accept, display on demand and store, the noise data from multiple (up to 50) remote SMRT units. It will have the capability of storing maximum acceptable noise levels (“MANLs”) for each location where a SMRT is installed. The RRT must be competent to continuously compare incoming data from the linked SMRTs with the predetermined MANLs for each linked SMRT site (note the MANLs may be different for each SMRT site) and must be capable of altering the MANLs but only through a security device or password. Should the RRT determine that the MANL for a particular (or multiple sites) has been breached, then it must “flag” the SMRT(s) where this has happened, and also the ORRC (where, in addition to the visual flag, the operator may decide to have an audible alarm activated). Additionally the RRT shall be connected to the operator’s turbine shutdown mechanism. If the recorded noise level exceeds the MANL, the RRT then the shuts down one or more previously selected turbines adjacent to the building where the measured sound has exceeded the MANL maximum allowable limits. In addition the ORRT unit needs to have the capability once the measured noise level falls below the MANL to restart the shutdown turbine(s) manually whilst ensuring the MANL is not breached. Provision for this to be effected automatically should also be considered by the system designer. If the SMRT suffers a breakdown, then it is necessary to be able to manage the situation that may arise if noise levels become excessive during the offline period. The system designer is requested to consider the above situation and how to treat similar problems arising with the if the RRT is offline. Given the likely locations of SMRT units they need to be of robust construction. The noise control system is to be designed so that it may be fitted to existing WEPs and built in to new WEPs. 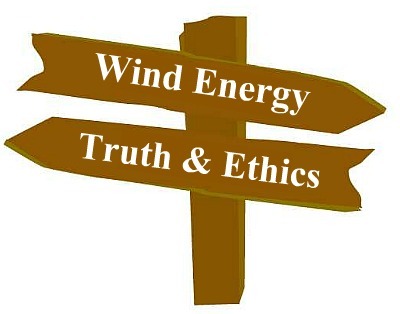 I have met people who have been driven from their homes because of wind turbine noise. You don’t suddenly abandon your home with no compensation to “make a point.” Governments around the world are trivializing the noise impact on humans & animals to continue building noisemakers that produce very little power. Its all about $$$$$. The mainstream press has bought the ruse and the public never hears the other side of the story. In Ontario, Canada. the boards of the wind developers are dominated by powerful former liberal politicians and related hangers-on. Groups like yours have an uphill battle and I’ll make sure my email list gets this post.